Located south of Faafu Atoll is Dhaalu Atoll. On the east is Meemu Atoll. Sun Aqua Vilu Reef was the first resort and has been operating successfully for over a decade. After so many years of slow tourism the atoll is now booming with many resorts currently under construction. A domestic airport at local island of Kudahuvadhoo is in development and is expected to open early 2017. Dhaalu Atoll is undiscovered in terms of tourist development. The most popular resort is Per Aquum Niyama which is of five star deluxe class. Sun Aqua Vilu Reef was the first resort opened in Dhaalu Atoll, after a decade the resort is still in operation. Some years back the beautiful beaches of Vilu Reef were attracted by Miss Universe contest where they held some sessions of the show. Despite having few resorts compared to popular atolls such as Ari Atoll, Dhaalu’s tourism has been rapidly booming with new resorts expected to open in 2017. There two popular local islands in the atoll; Kudahuvadhoo and Rinbudhoo. Kudahuvadhoo is the atoll capital, with a population of about 4000 the island is the most populous in the atoll, it is also known as the economic hub of the atoll that serves to other islands. Rinbudhoo was traditionally known for blacksmith skills. People of Rinbudhoo used to make jewelry and sell to capital Male’ from where other atolls buy their products. 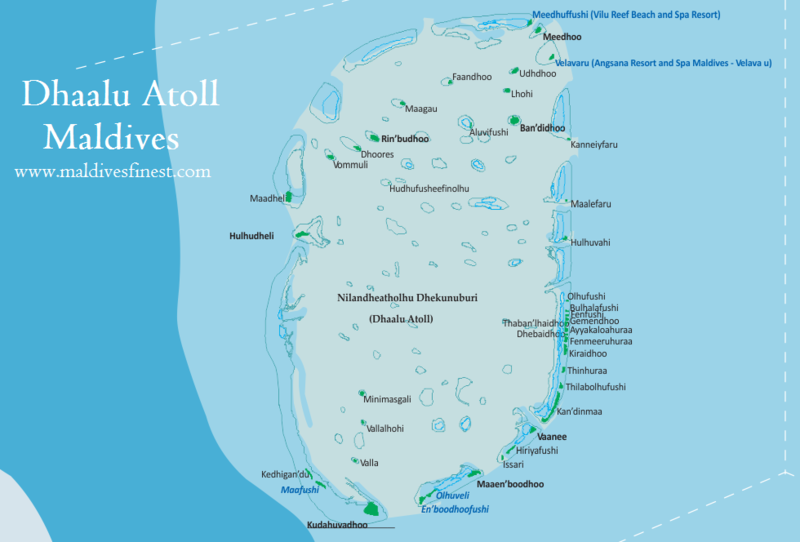 Nowadays there is no such work in the atoll as it is cheaper to import jewelry from India and other countries.